In a position of speed, there is something to say about starting fast. 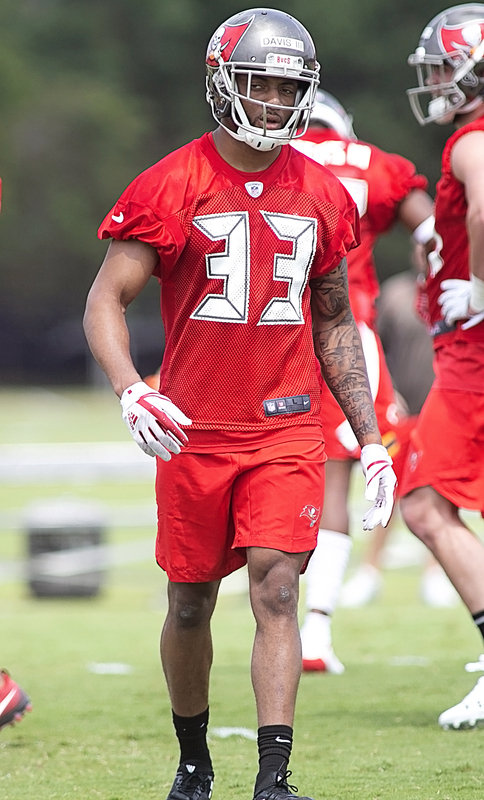 Just ask corner Carlton Davis, who has made an early impression on the Tampa Bay Bucs. Davis, a second-round draft pick out of Auburn, will compete for the Rays' right cornerback position. After two days of mini-camp, he appears to be ready. Davis says he needs to get comfortable in the defense. Davis can be seen. He's been heard, too. Davis said the mini-camp has made him both nervous and excited. Rookie offensive lineman Alex Cappa said it was important for him to play with a mean streak. "I feel like it's the most important thing for an offensive lineman," Cappa said. "You've got to be able to compete and be physical, but really that's just how you play the game." Koetter said that Cappa is a versatile player who can line up at various spots on the Bucs' offensive line. The Rays' rookie mini-camp concludes today. Previous post: Ask Gary: Is there a bigger challenge than Bruins?